Activision Producer doesn’t see platform as a ‘challenge’, hints at possible PlayStation Move port. To first-person shooter studios, the Wii market is deeply hostile territory. But then maybe it’s just a question of making the right shooter, the one that will alter how the platform is perceived and developed for. After all, nobody really gave a damn for console ballistics full stop till the original GoldenEye blew N64′s socks off back in 1997. Can Activision’s newly Sean-Bean-less Wiimake repeat the trick, 13 years later? Producer Dawn Pinkney seemed to think so when we spoke to her at a preview event last week. Asked whether she and developer Eurocom were fazed by the genre’s struggles on Wii, Pinkney didn’t miss a beat. ‘No, I mean, for our game – did I go through all the different controllers we’ve got? ‘We’ve got Classic Controller play, we’ve got the Gamecube controller, we’ve got the Zapper, we’ve obviously got the Wiimote and nunchuk, and we’ve got all these different controllers. And then we have these different control schemes as well. Eurocom’s last ‘exclusive’ Wii game, Dead Space: Extraction, will see life on PS3 as a Move title alongside Dead Space 2 in January 2011. Draw parallels as you please. GoldenEye 007 is slated for release on 2nd November. A DS version is also in the works. 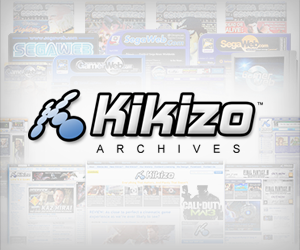 Posted in News, Spotlight, and tagged with 007, action, Activision, Eurocom, fps, James Bond, News. The rights issue is an interesting one – as far as I know, both Ninty and Microsoft (via the rebought Rare) have some claim to the original game, but there’s also the movie license (which Acti owns) to consider… I’m going to call up and see if I can get them to clarify. How about you do some research before making incorrect statements? 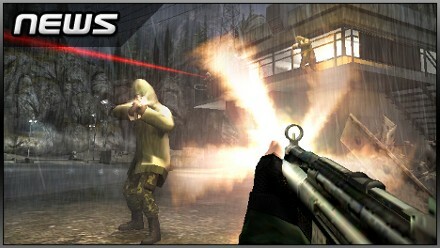 Both Modern Warfare Reflex and World At War sold a million copies on the Wii. The Conduit did about half that. And all of the mediocre FPS games that came before those did pretty well too considering. Seriously, after reading your PS3 port comments It’s safe to say that this is nothing but fanboy drivel because again, if you bothered to do any research and actually know what you are talking about you would know that the Goldeneye IP is owned partly or fully by Nintendo. So which is it, ‘partly’ or ‘fully’? For somebody who puts such stress on the importance of doing one’s research, you’re pretty vague on the key points here. Copyright Claimant: Nintendo of America, Inc., Rare, Ltd.
Authorship on Application: audio-visual materials and computer program: Rare, Ltd., employer for hire. Previous Registration: Motion picture prev. reg. 1996, PA 767-549. Basis of Claim: New Matter: audio-visual work; program. Names: Nintendo of America, Inc.
As regards the point about sales – sure, there have been modestly successful Wii shooters, but a million sales is peanuts to the likes of the original COD4 or Halo 3. It all depends on how you define success, I suppose, but I think it’s fair to say shooter devs have a considerably easier time of it on 360/PS3 than on Nintendo’s platforms.